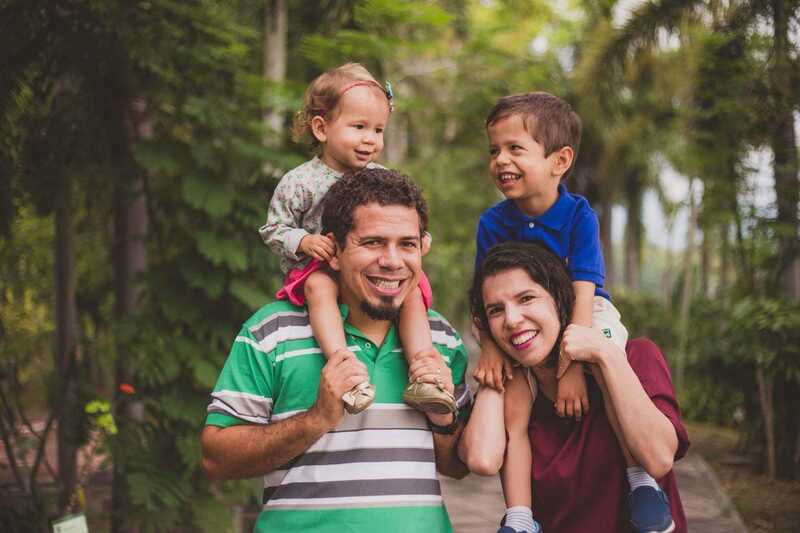 Bruno & Ana went from Brazil to Thailand as independent missionaries. After several months in Thailand they were wearied by the challenges of getting themselves set up in the country and attempting to navigate the language and culture. From Chiang Mai, Bruno contacted Steve & Anna Griffiths, who lead OMF New Horizons in São Paulo, Brazil, to see if the team could help them. What got you interested in world missions? Bruno: Through my local church, I was encouraged to think about missions ever since I was young. I regularly went to children’s camp and eagerly looked forward to the missionary stories that were always a feature of the programme. On hearing the testimony of a couple who worked in a football ministry in Kashmir, God began to put the idea of doing something similar in my heart. Ana: I also got involved in missions in the church. During our time at seminary, although I focused more on ministry to the local church, I always placed myself at the disposal of the Lord to use me as he would, even if that meant the mission field. When Bruno began to court me, he told me of his plans and I realised that my answer to him was also a yes for cross-cultural mission. I prayed about it for some time and then I answered ‘Yes’ with joy! Why Thailand? How did you discover the opportunities to share the gospel there? Bruno: We went to the Brazilian Missions Congress in 2014 asking God for a place where football might open doors to the gospel. To our surprise, a key theme of the seminars and preaching was to seek out missionaries who could use football in Southeast Asia, as the doors were open but no one was going. We went on a mission trip to explore possibilities in three countries in the region. Thailand touched us by the very low percentage of Christians, evident as we travelled long distances without seeing a church. What was it like when you first went to Thailand? Ana: On our mission trip, Thailand was originally going to be the country in which we would stay fewer days despite the fact that Bruno wanted to know the country better. God surprised us when the leader of the trip said he had changed plans and we would spend more than double the planned time in Thailand, visiting more than three times as many cities! It was the country we explored the most. The deep cultural attachment of the Thai people to Buddhism impacted us greatly. Why did you contact OMF? How did the partnership with OMF help you? Ana: Bruno met a Brazilian who was working short-term with OMF in Southern Thailand. We did more research and grew to like OMF very much because OMF cares about excellence in ministry, focuses on the people, and always has the Bible as a rule of faith and practice. The attention given to the children of the missionaries also touched our hearts. We are still at the beginning of the journey with the mission, but we have already learned a great deal from our leaders Steve & Anna Griffiths about life with God, teamwork, love of missions and others. How do you see your ministry growing and developing over the next few years? Bruno: Our short-term experience in Thailand made it clear to us that Thai is not a simple language. In accordance with OMF’s requirements, we will spend a year focused exclusively on studying the language and culture of the people. Understanding their worldview will greatly facilitate the effective preaching of the gospel. We also realised that Thai people love football. By God’s grace and for his glory, we intend to use this tool to support the planting of churches through enabling and training local leadership so that they themselves are making disciples. How can we pray for you and the people in Brazil who are considering cross-cultural missions? Ana: Please pray for us that we seek excellence in life with God and his work, for ease of language learning and wisdom in cross-cultural relationships. We also long to see the hearts of our children surrendered to Christ and for them to love missions too. Bruno: For the Brazilians who are considering missions, please join us in praying that they have access to good Bible training. Please pray that the Brazilian Church has the right understanding of its vocation, including cross-cultural mission, and for wisdom in maintaining missionary support since our currency fluctuates in value and that there would be a great awakening to the opportunities to share the gospel in East Asia.